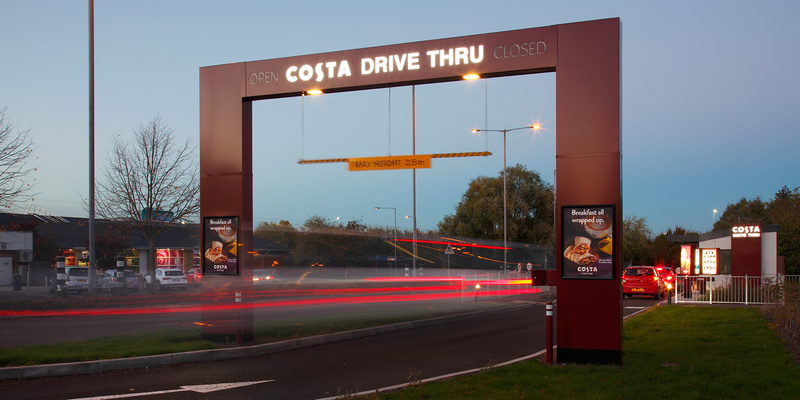 Completed in 2018, the Costa Drive Thru at Moto Services Reading provides drivers with the convenience of a quick and easy takeaway coffee option. 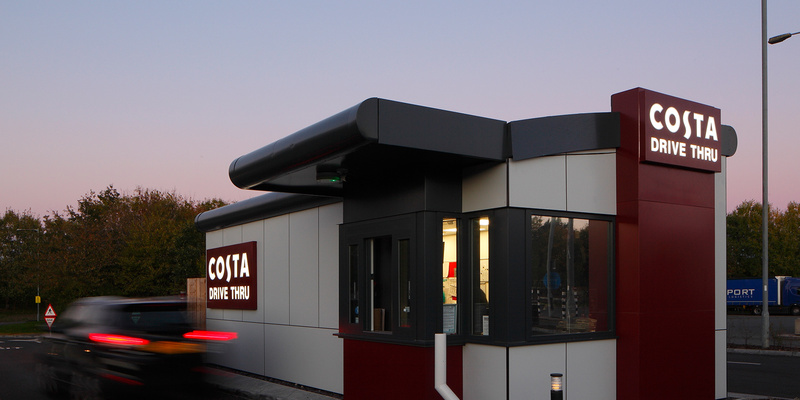 Built on the existing caravan parking area, the Drive Thru was carefully designed and positioned to attract customers whilst minimising impact on the existing site. The architectural style of the building is consistent with the design scheme previously developed by JWA for national roll-out. The elegant curved profile is achieved using a steel structure clad in rainscreen cladding panels. The design is simple, compact and highly functional. A single central core provides the main operating and serving area, focused around the bay window. There is a suitable back-of-house office, storage area and a WC for staff. Less attractive areas such as external bin storage are positioned at the rear, hidden from customer view. The small scale combined with the materials chosen and avoidance of large areas of glazing make the building highly energy-efficient – it requires minimal energy to heat during winter and remains naturally cool in summer. 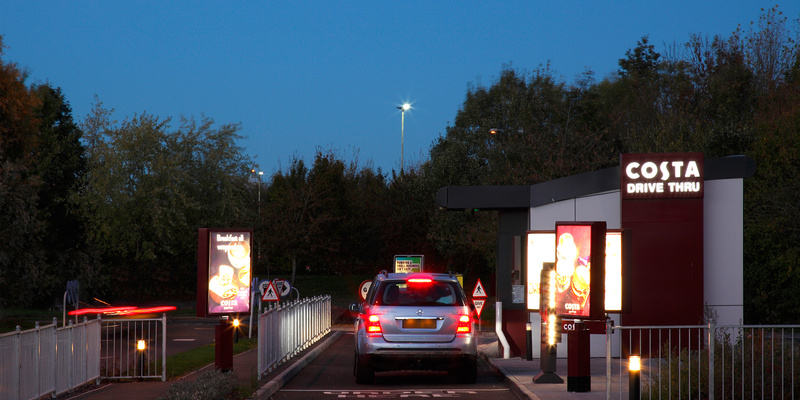 Our design incorporated a long drive thru lane to provide a substantial vehicle queuing area without affecting traffic flow around the circulation route. We re-positioned the existing caravan parking — retaining the same parking capacity, re-modelled key pedestrian walkways, re-designed signage and lighting, and re-landscaped the surrounding areas.